When considering the successful design of cities, the focus tends to be on famous examples such as Paris or Rome, with equally successful but smaller and more remote examples being ignored. In addition, the more diffuse patterns of settlement of the north and western parts of Europe are hardly considered at all in comparison to the tightly formed urban centres of the Mediterranean. However, the diffuse town/region is typical of our time, whatever the location. By analysing the development of a successful small city of ancient foundation which grew from a diffuse long settled and dense landscape, then demonstrated a slow growth as a tight urban form before an early adoption of the designed landscape as "town" lessons can be learned. These lessons may be useful in addressing the nature and growth of any city or city/region. The story of Aberdeen is just such an example. Not only are the materials for its long history present, its relations and concerns with the wider world are also well attested, and many of the ideas which directed or significantly impinged on the design of cities were tested there, or had their origin there. 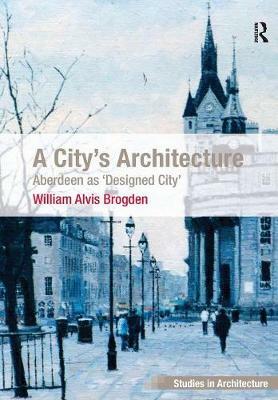 As its form accumulated and developed over such a long time Aberdeen also suggests the idea of an architecture of the city. This book examines the development and design of a city from three inescapable aspects: its location and character of the landscape; its own particular history of development; and its cultural responses to various waves of thought.